Through her installations, sculptures, photography, video, and embroidery, Francena creates an interactive atmosphere for the viewers allowing those to connect to one’s experience. 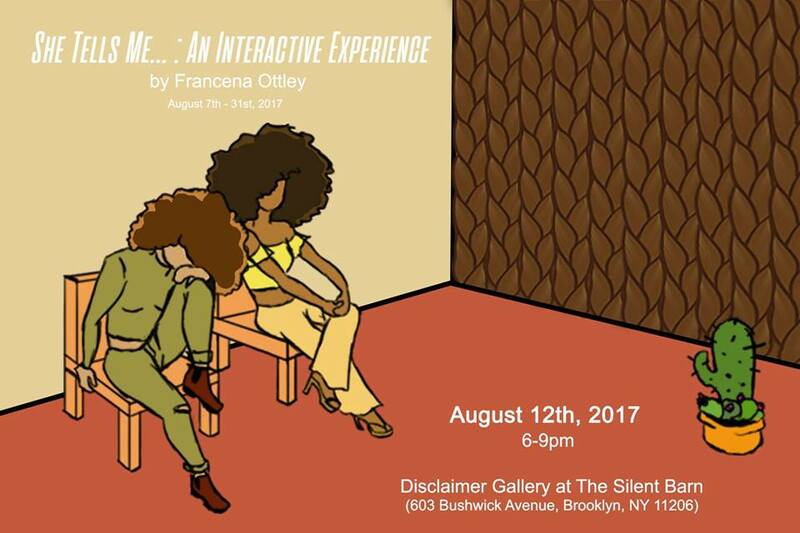 Francena Ottley is a New York based photographer, installation artist, and poet. She is currently working on her BFA in Photography and Video at School of Visual Arts. Some of her previous exhibitions include the Whitney Houston Biennial at Chashama, Genius Loves Company at the Art Gallery of Adam Clayton Powell Jr. State Building, and the Juried Exhibition at SVA Flatiron Gallery. She’s also been published several times in SVA Visual Opinion and recently been featured on Hyperallergic, Village Voice, Chocolate Informed, and Stylehub NG.